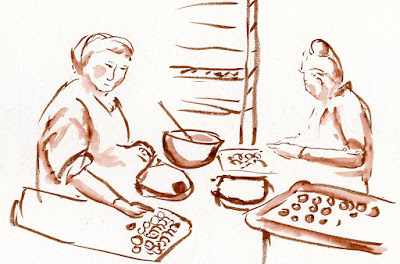 The other sketchers I chatted with this morning all agreed: There’s nothing like chocolate to improve one’s mood. Our outing to Fran’s Chocolates in Georgetown was timely. 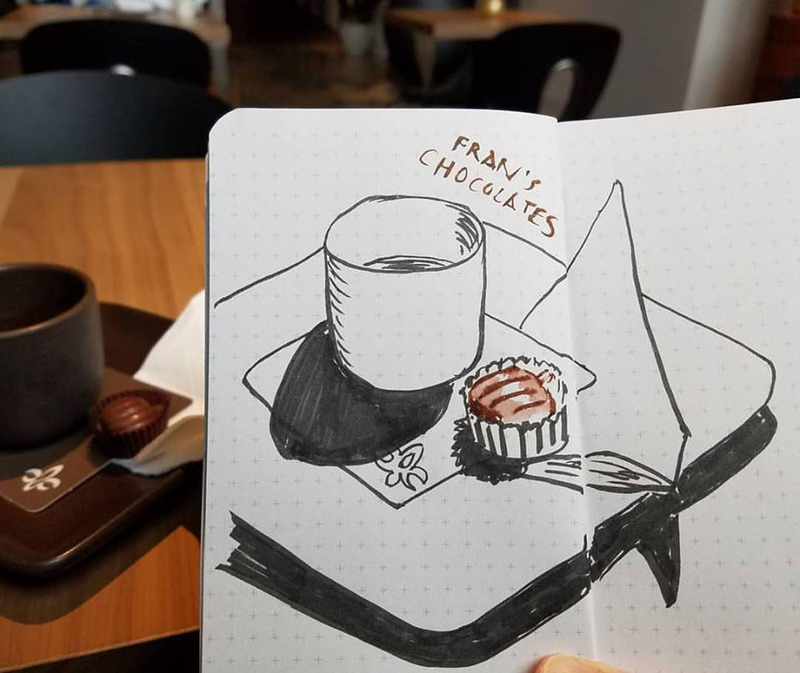 When the Friday sketchers visited Fran’s nearly two years ago, I spent most of that time sketching the workers handcrafting elegant chocolate truffles through the viewing window. 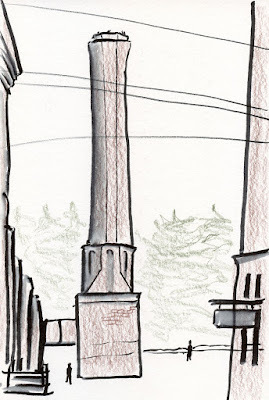 Today I couldn’t resist one sketch from the same window (the scent in that spot is heavenly! ), but I also had another mission. 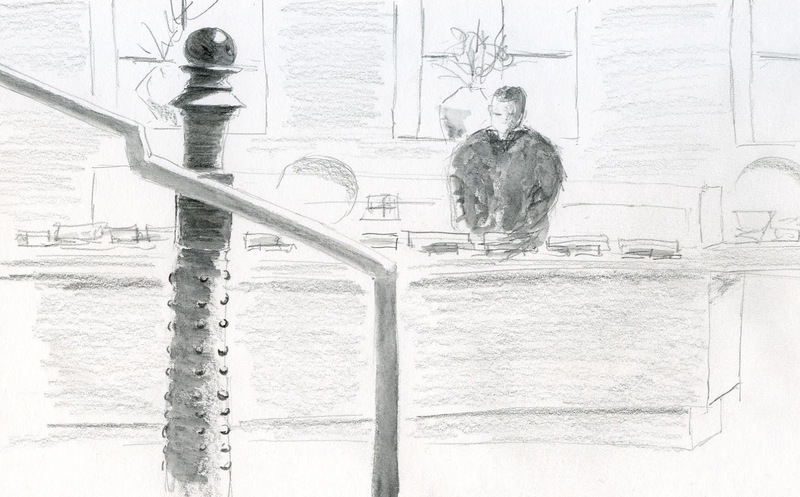 I wanted to find an interior view to use as a tonal study in graphite. It helped that most of the décor at Fran’s is dark brown, which kept me from being tempted to put in color. Facing the main retail counter, I spotted a vintage post with an interesting bumpy texture next to a stairway handrail – a fun and challenging exercise. 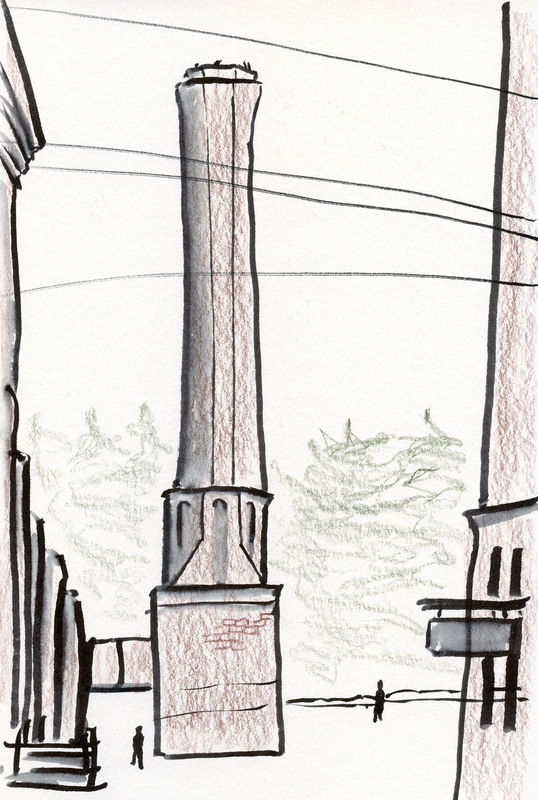 With the morning warming up, I wandered across the street to sketch an iconic Georgetown smokestack attached to the brick brewery next to Fran’s. Chocolate therapy works. I, for one, certainly felt better afterwards. I brought home a box of truffles in anticipation of future needs.